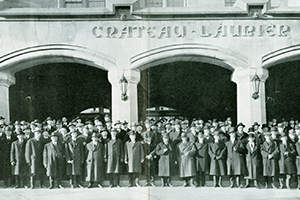 From these early meetings held at the Château Laurier in Ottawa, the Association of Canadian Building and Construction Industries was formed. 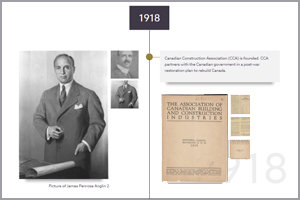 This name was kept until 1928 when we became the Canadian Construction Association (CCA). Starting at the 2018 CCA conference in Banff, we will highlight important industry achievements throughout the year and cap off the year with a dinner at the Château Laurier, where it all began.